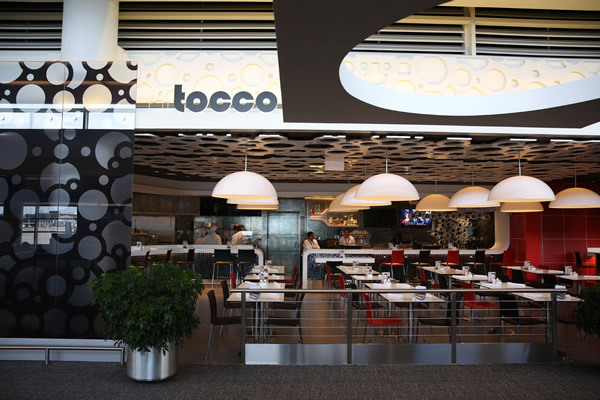 Tocco, the newest inception from stylish, Italian restaurateurs Chef Bruno Abate and his partner, Melissa, provides authentic Italian cuisine within a contemporary atmosphere. Ideal for a variety of occasions, the casual chic dining environment includes cozy tables for intimate dinners, a community table for large groups, and a lavish bar and lounge area ideal for an aperitif or hosting cocktail parties. Regularly imported from various regions of Italy, along with our fresh porchetta made in-house. Our Italian wine list is carefully selected, including reds, whites, and prosecco offered by the bottle or glass, the bar also offers an inventive cocktail menu. Fresh bread and pizza dough made daily, and cooked in our stone oven with a mix of hardwoods.